Each I.C.O.E. 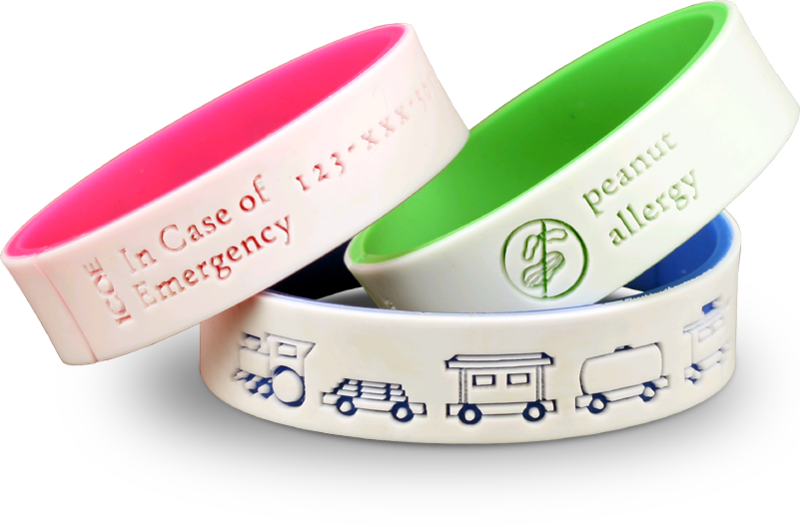 Bracelet is laser engraved with your emergency contact numbers, plus a fun design or allergy, medical or Rx information. "My preschooler LOVES his allergy bracelet. He hasn’t taken it off since we got it, and I was worried he wouldn’t want to wear one. He chose the color and the race car symbol on it, and loves it. Thanks! Be sure. Get I.C.O.E. Emergency Contact Bracelets.